We offer testing and certification under our K-9 Caring Angels team. Once certified, many of our handlers and dogs enjoy working with our team giving back to the community through organized events or through their own special projects or work, or both! Contact us today to determine when the next test will be occurring or if you have any questions about the testing, certification, what we do or what is expected. Our K-9 Caring Angels works as a group or as individuals to give back. As many of our handlers are working, taking care of kids or otherwise busy (we do live in Northern Virginia after all) we are always looking for more volunteers to fill in when other members of our team are otherwise occupied. If you have a passion for an area you want to help we can help you realize it. 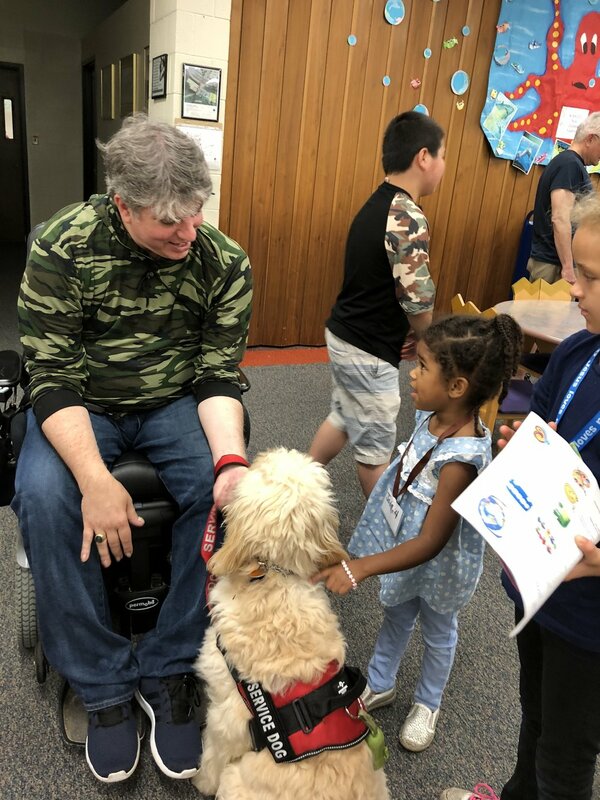 If you want to give back but not sure how, we have a lot of events and places we go so you can try them out and decide what is most fulfilling for you or where you see a need for the most help, from children’s programs to assisted living to parades, there is an avenue for everyone to give back. 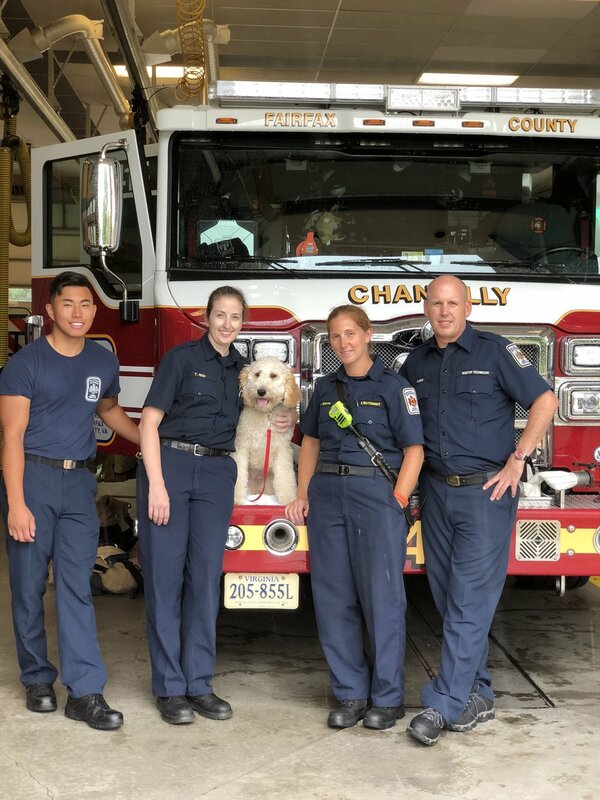 These are dogs that we train to operate full time at a specific facility such as a fire station, police station, funeral home, counseling center and more. See our impact page to learn more. These are specialized dogs trained and donated to those in need and part of our Warrior Angel program. Be it Veterans suffering from PTSD, children with Asbergers, survivors of trauma like human trafficking. Our Psychiatric service dogs generally serve an individual or some cases, many individuals depending on the role they are called to serve.